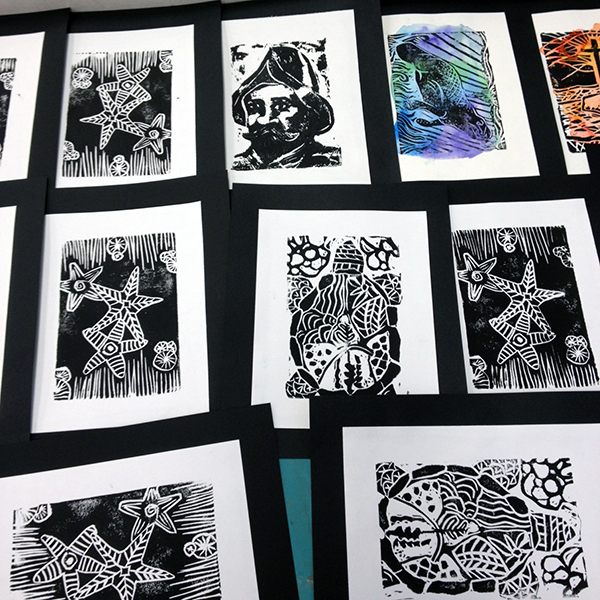 The talented visual arts students from the St. Johns County Center for the Arts (SJCAA) at Murray Middle School will be selling their beautiful block art prints at Made in St. Augustine. SJCCA provides artistically gifted students with a pre-professional program of study designed to develop their unique talents in the performing and visual arts. In an environment that is supportive and intellectually challenging, SJCCA prepares students to be members of an artistic society. Learn how to make your own block art print with SJCCA Art Teacher Amy Banton at her workshop during the Festival. The talented visual arts students from the St. Johns County Center for the Arts (SJCAA) at Murray Middle School will be selling their beautiful artwork at Made in St. Augustine. SJCCA provides artistically gifted students with a pre-professional program of study designed to develop their unique talents in the performing and visual arts. In an environment that is supportive and intellectually challenging, SJCCA prepares students to be members of an artistic society. Learn how to make your own block art print with SJCCA Art Teacher Amy Banton at her workshop during the Festival.